Dog agility is one of the fastest growing canine sports in the world. USDAA’s variety of tournament events at the Cynosport World Games gives you the world’s best agility competitors in one place. All competitors entered in any tournament at the Cynosport World Games must pre-qualify based on USDAA’s Tournament Rules. Now in its 30th year, USDAA’s Grand Prix of Dog Agility® World Championships is the oldest and most prestigious tournament in the sport today. 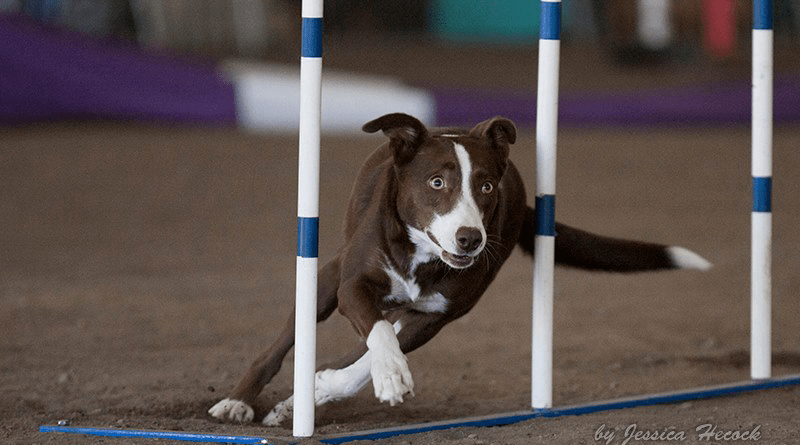 The event features familiar agility obstacles – weave poles, A-frame, dog walk, see-saw, tunnels and a variety of jumps and hurdles. In true tournament fashion, the Grand Prix consists of quarterfinal and semifinal rounds in six different jump height classes, (12” 14”, 16”, 18”, 22” and 26”). Competitors with the fastest times and least amount of faults make it to the next round. Winners in the final round of competition are crowned World Champion. 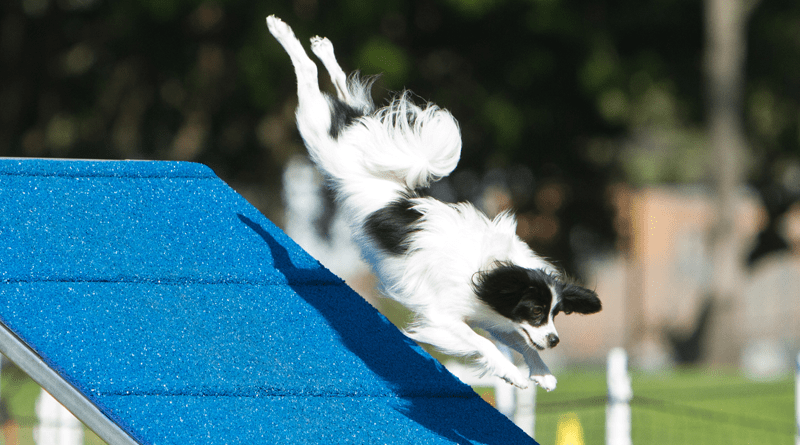 The $10,000 Dog Agility Steeplechase® pits the top jumpers in six different jump height classes (12” 14”, 16”, 18”, 22” and 26”) in a race against the clock for prize money totaling $10,000. The Steeplechase course is designed to encourage speed and accuracy as the competitors face a course of hurdles and tunnels, with an A-frame and weave poles on course. Similar to the Grand Prix event, Steeplechase also consists of quarterfinal and semifinal rounds. Faults are added to the competitor’s overall time, with the fastest competitors in each jump height awarded the top prize money. As the tournament name implies, the best competitors from around the world team up in groups of three and are tested in their versatility and endurance. Based on a point system, five different rounds of competition involving speed, accuracy and strategy are tested over several days. Dogs of different sizes can team together and scoring is balanced to adjust times and points based on the dog’s size. The newest tournament, now in its third year consists of two classes – Standard and Jumpers – and features international style courses typically seen in Europe. Scores from both events are combined to name a champion in each jump height. In 1999, USDAA introduced the Performance Program, which is a mirrored imaged of the tournament events described above with slightly different standards for competition. Jumps heights are 8″, 12″, 16″ and 20″ and competitors get an additional few seconds to complete a course. Tournament names described above are altered slightly to reflect the Performance Program. The Veterans All-Around Showcase is an individual competition that highlights the versatility of dogs 9 years of age and older who still have the zest to compete, but with standards slightly lower than the Performance Program. 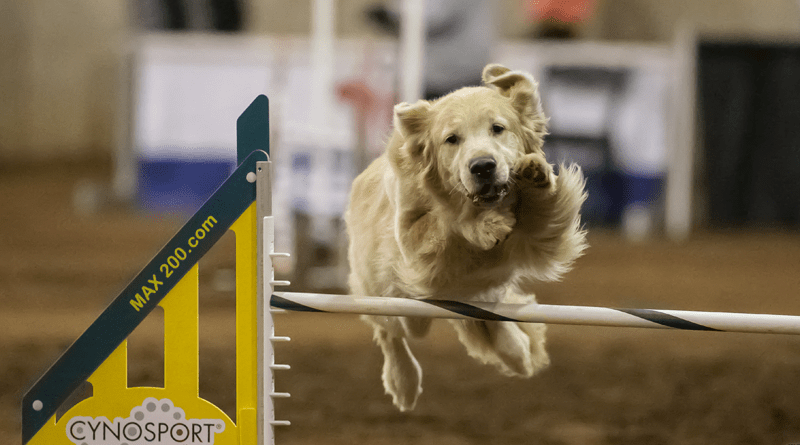 The top 3 dogs in each jump height, 4″, 8″ 12″ and 16″, showcase their versatility after 4 rounds of competition. The Veterans Showcase is always a crowd favorite since it demonstrates the benefits of teamwork and exercise no matter what your age.